From March 22nd-24th, ASBM exhibited at the Annual Meeting and Expo of the American Pharmacists Association (APhA), held in Seattle, Washington.Founded in 1852, APhA is the largest association of pharmacists in the United States, with more than 62,000 practicing pharmacists, pharmaceutical scientists, student pharmacists, pharmacy technicians as members. 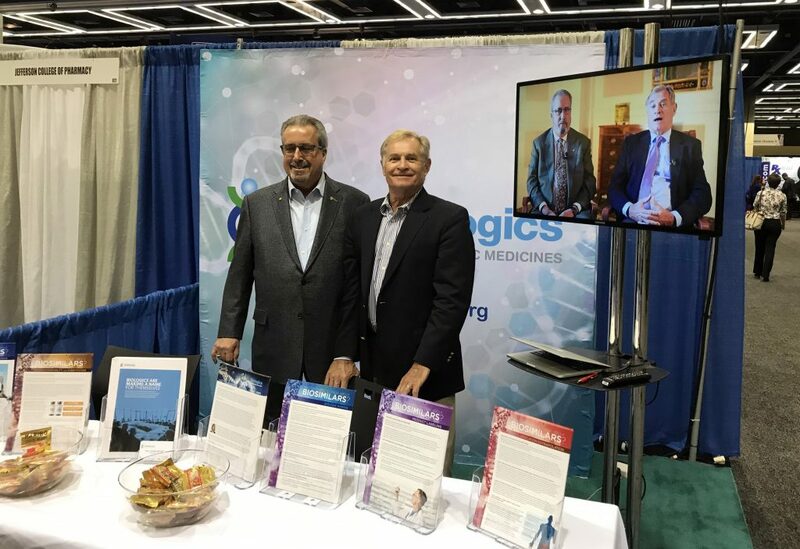 ASBM was represented at its booth by Advisory Board Chair Philip Schneider, past president of the American Society of Healthsystem Pharmacists (ASHP) and Advisory Board Member Ronald Jordan, Dean of the Chapman University College of Pharmacy and past president of APhA. Dr. Schneider answered questions about biosimilar policy issues which affect pharmacy practice, including naming practices in the US and internationally. US biosimilar substitution policy, which varies by state, was also discussed. 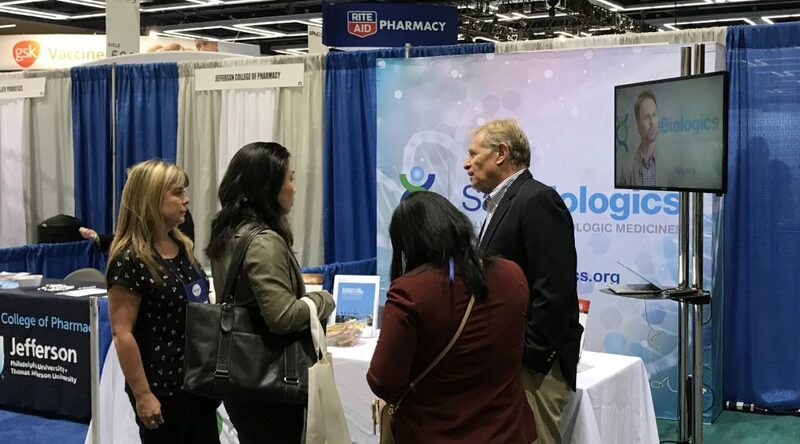 Educational videos targeted at pharmacists were also shown at the ASBM booth during the three-day exhibition. These included a video featuring Schneider and Jordan, and ASBM’s recently-released pharmacist videos on naming, interchangeability and substitution, and non-medical switching were also shown.